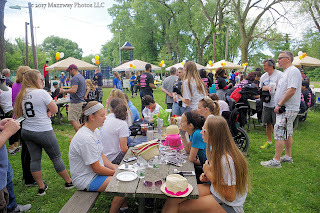 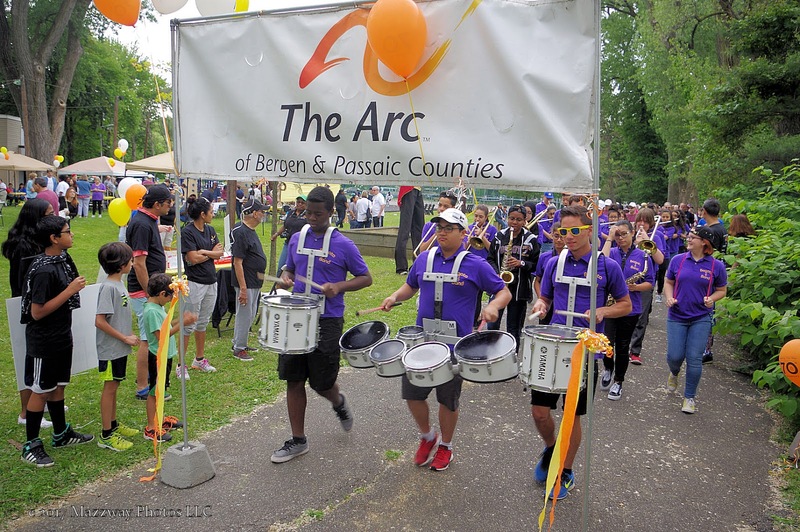 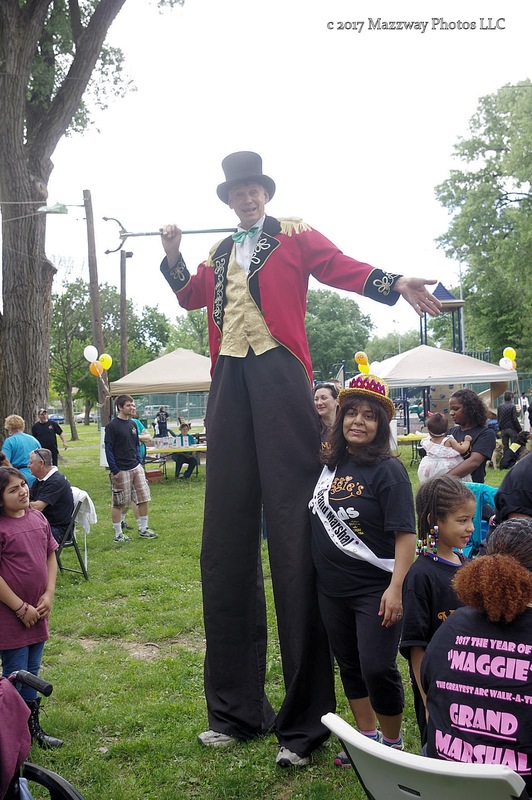 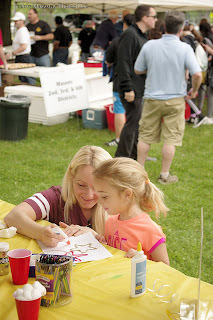 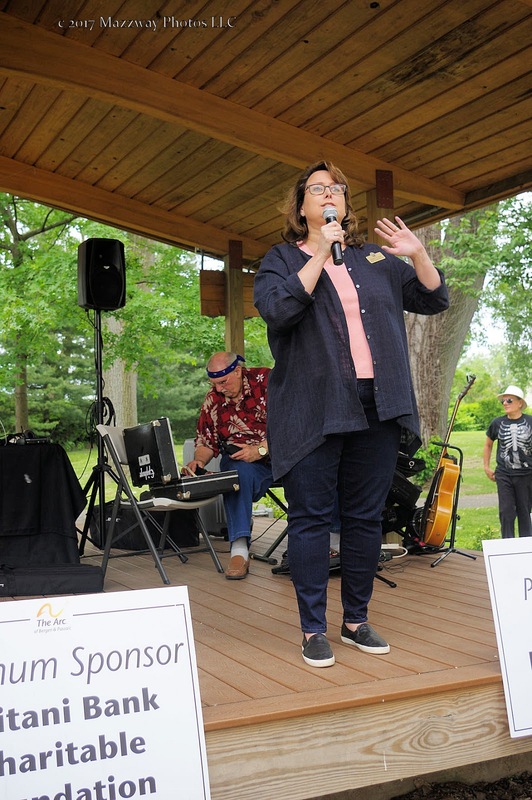 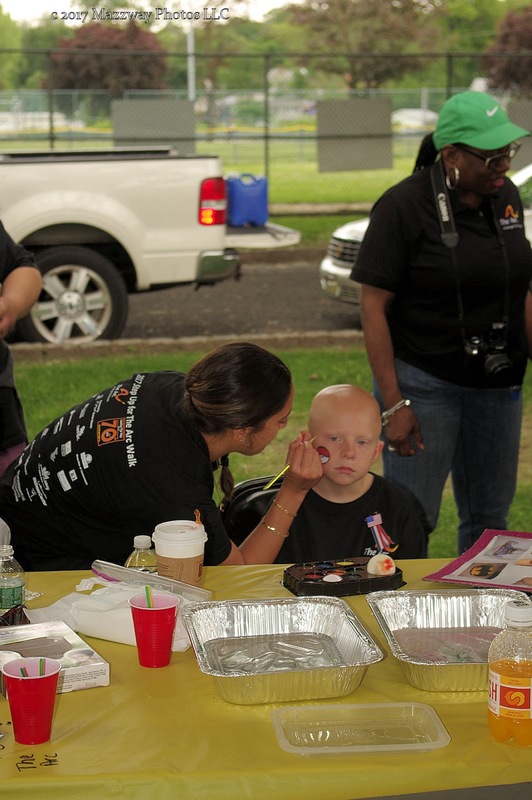 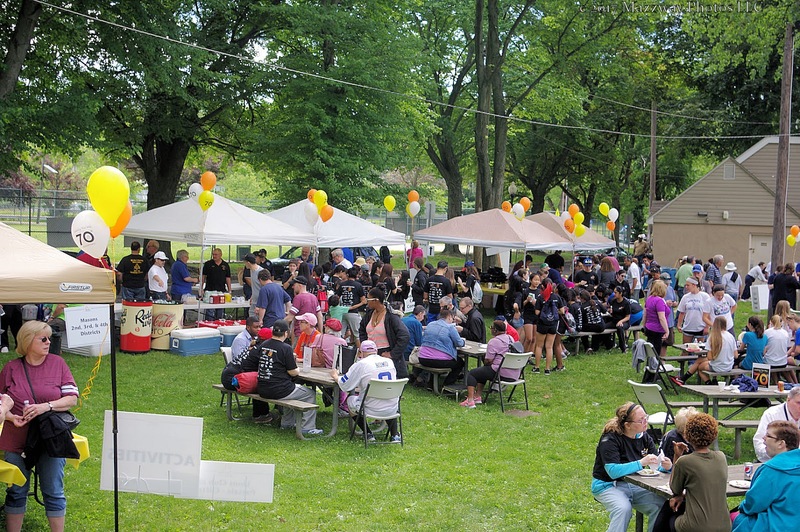 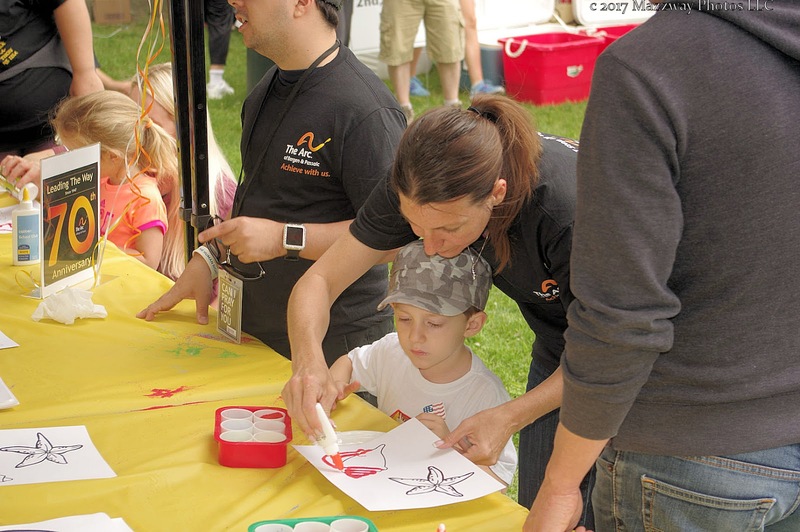 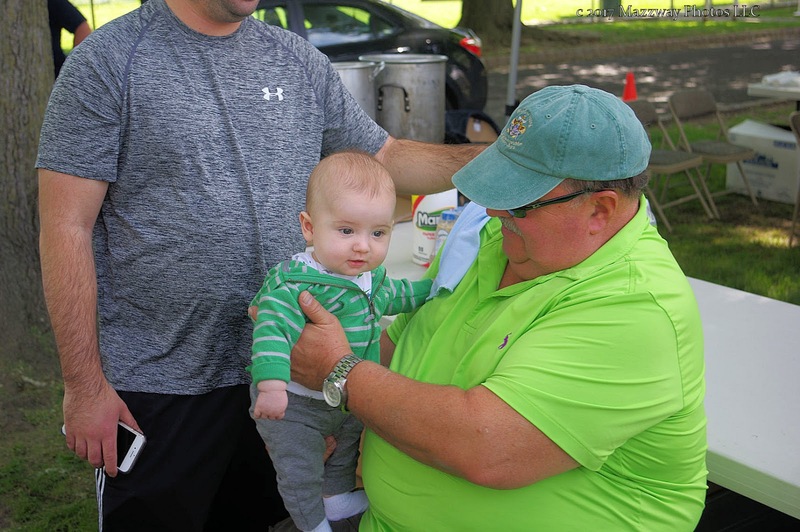 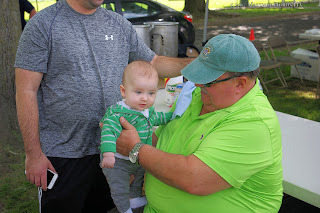 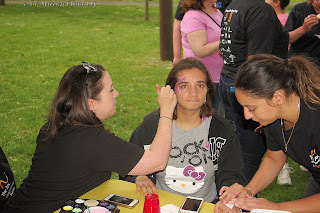 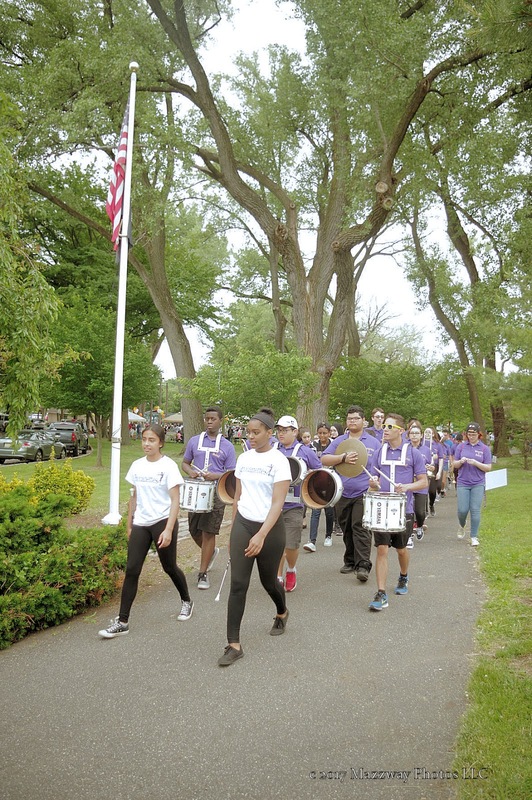 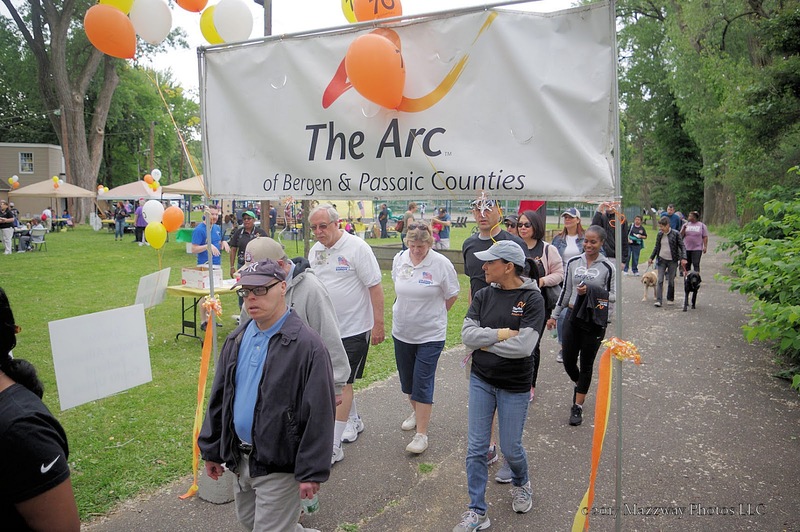 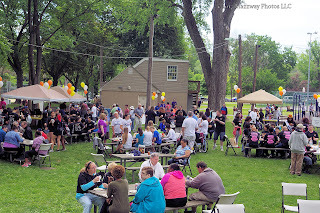 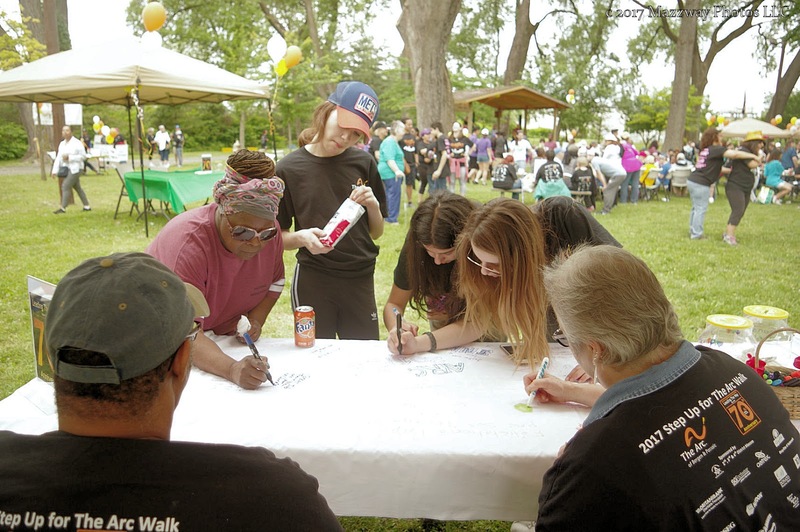 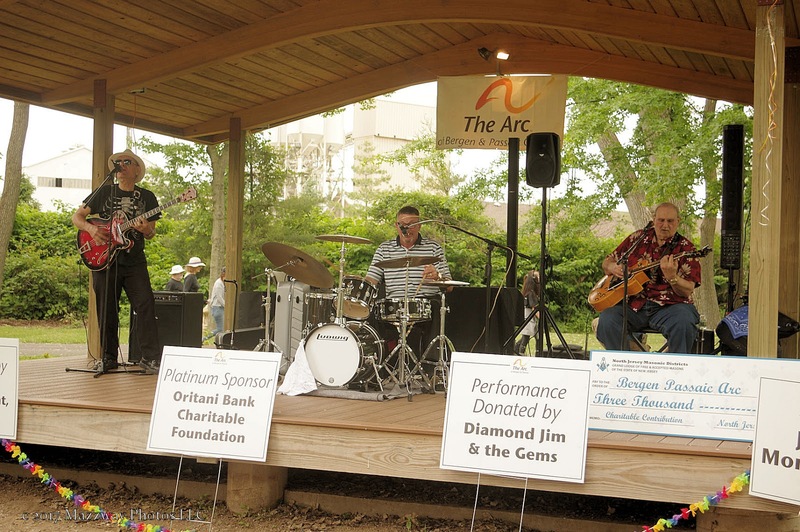 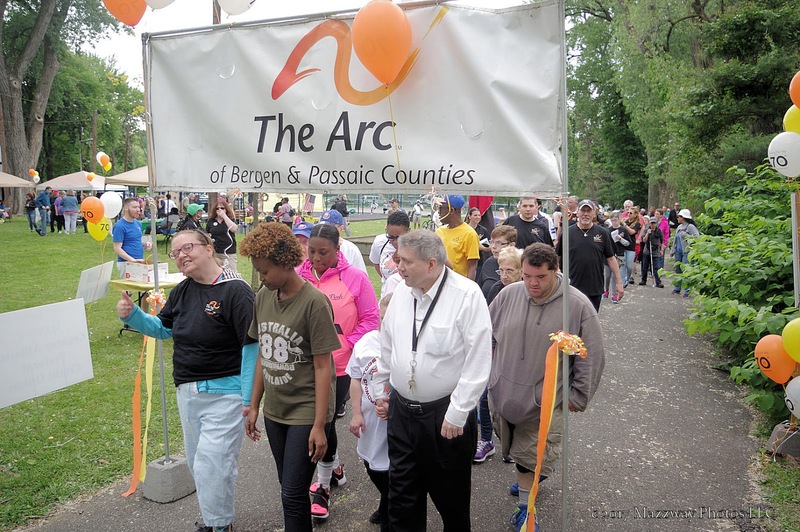 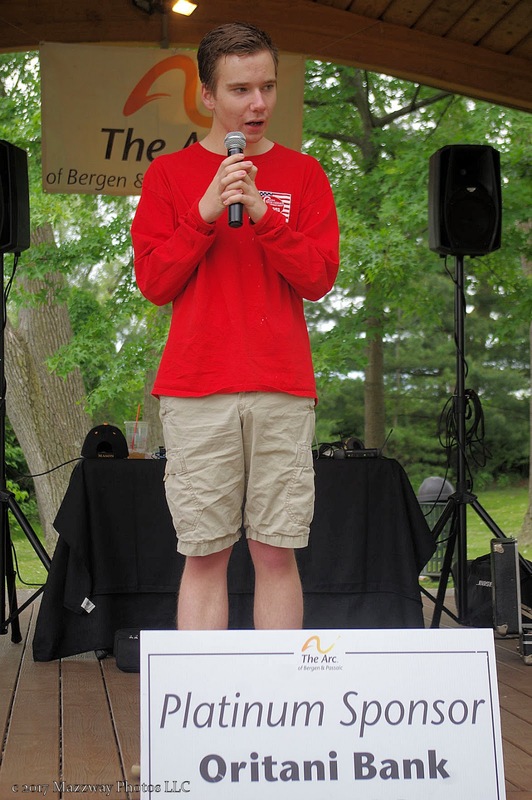 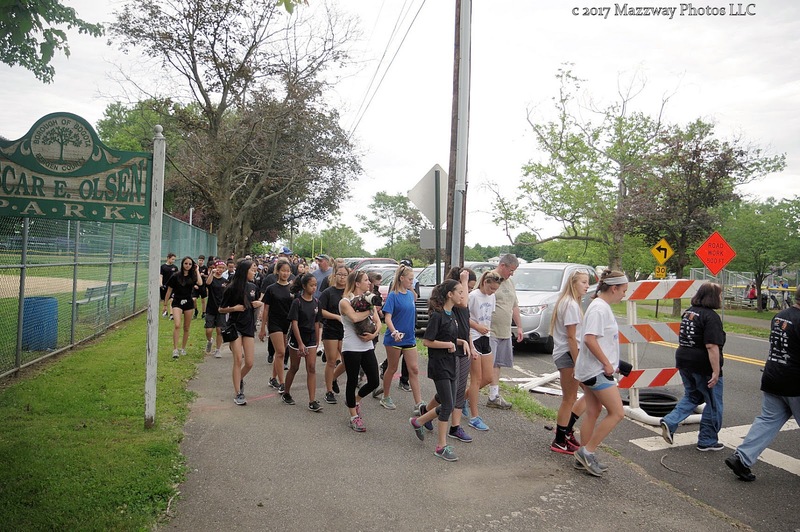 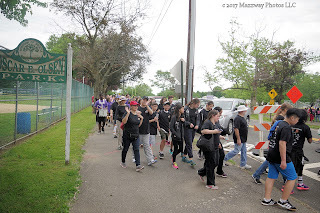 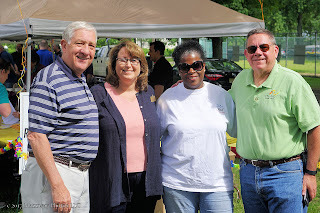 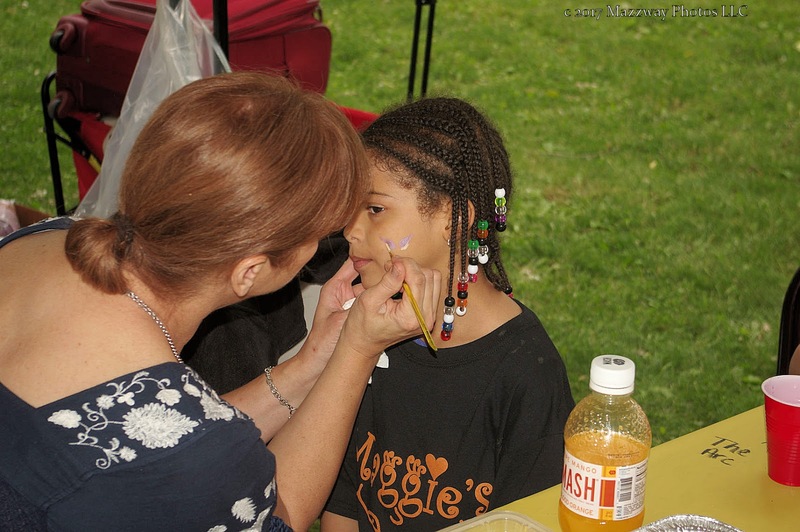 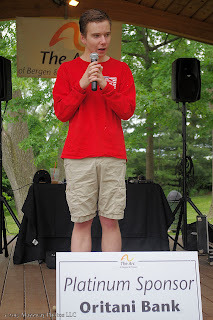 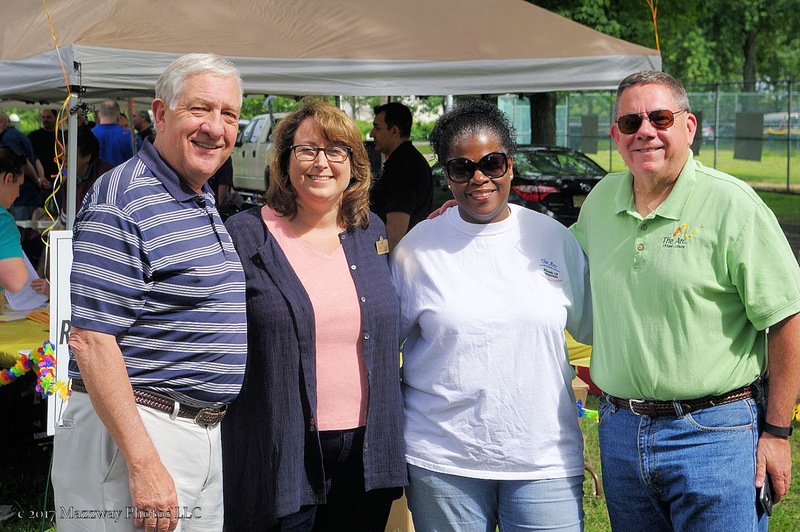 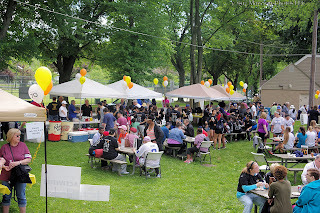 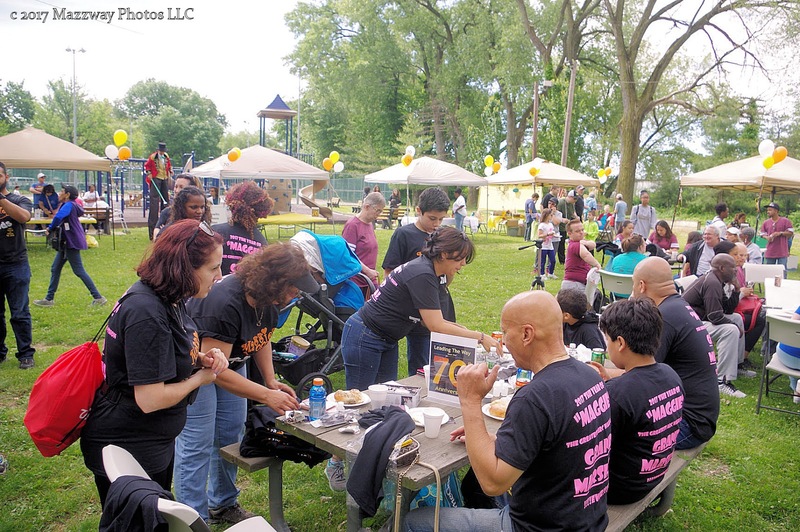 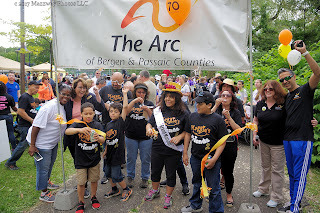 On Sunday 4-June the ARC of Bergen and Passaic Counties held their annual walk-a-thon in Olsen Park in Bogota NJ. 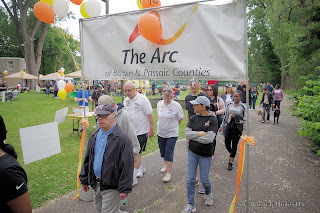 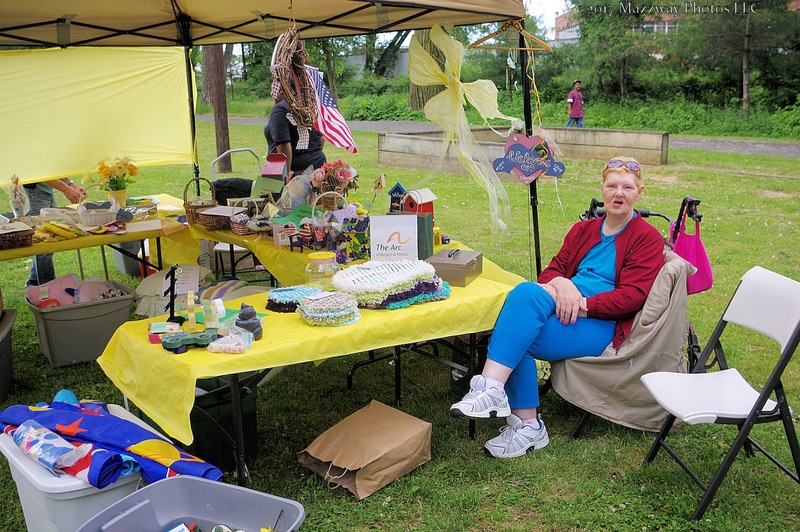 This year marked the 70th anniversary of the ARC assisting those suffering Mental or Physical handicap, and their Families, maintain a positive quality of life. 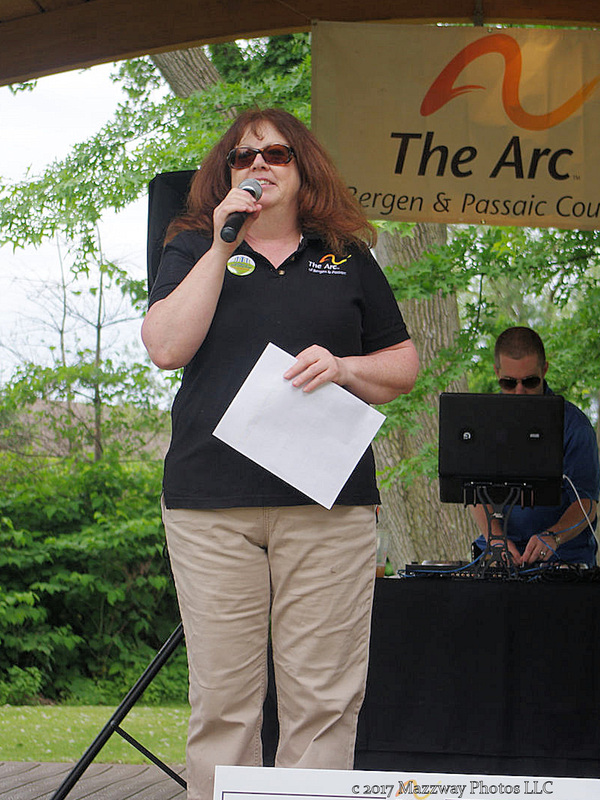 Before the walk began Tracy Welsh welcome everyone in attendance, both walkers , and their supports. 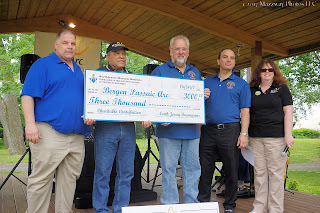 Ms. Walsh was presented with a check from the Mason of district 2,3,4 of Northern New Jersey. 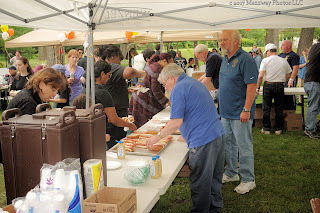 The Masons also donated their time along with food for Breakfast and Lunch. Then Ms.Walsh introduce Bergen County Freeholder Tracy Zur thank the ARC for all their work in helping those who benefit from their work, Next Matt Serednicky came up and once again sang the National Anthem. The walk began with Grand Marshal Maggie Estrada, with her family,cut the ribbon to start the walk. Then the Bogota High School Marching Buccaneer Band lead the walking on the first of their three laps, or 4.5 miles, around the park. 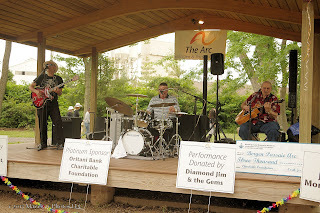 After the walkers finished their journey they were treated to a Hot Dog lunch and music from Diamond Jim and the Gems. 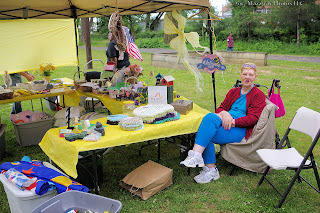 There was also some arts & crafts and face painting to take part in. 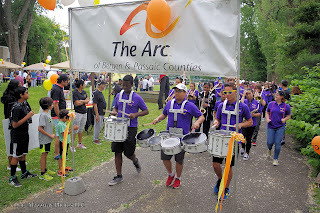 Also anyone who wished could sign a ARC 70th anniversary banner which is traveling to all ARC event throughout the year.